Another Singapore company, Media Architects, also singled out. Businessworld. Singapore firms Singapore Technologies and Media Architects are two of seven companies banned in a corruption probe against India’s former Ordnance Factories Board Director General Sudipto Gosh. CRACKING DOWN on corruption in defence deals, India has blacklisted seven companies, including those from Israel, Poland and Singapore, and “put on hold” all acquisition from them. On the orders of Defence Minister A K Antony, who had last week strongly reiterated the government’s zero-tolerance stand on corruption, the Defence Ministry issued orders yesterday banning the seven companies, which were named by the CBI in the First Information Report (FIR) against former Ordnance Factories Board Director General Sudipto Gosh. The backlisted companies include Israeli Military Industries, Singapore Technologies, Singapore-based Media Architects and Poland’s BVT. “The Defence Minister has directed that all acquisition cases in the pipeline in respect of the seven companies figuring in the FIR registered by CBI in Kolkata against OFB former DG Sudipto Gosh be put on hold till further orders,” a Defence Ministry spokesperson said in New Delhi. The other companies in blacklist are HYT Engineering, Delhi-based T S Kishan and Company, and R K Machine Tools. The blacklisting of the seven companies comes four years after the South African arms firm, Denel, was banned by India in 2005 for allegedly paying off Rs 20 crore in a rifle contract. The defence ministry’s action would mean that India would not operationalise any project that these companies are involved or accept supplies from them,Ministry officials said. While, Israeli Military Industries is the contractor for the OFB’s five ammunition factories for the Bofors 155-mm artillery guns that are to come up in Nalanda in Bihar, Singapore Technologies is the strongest contender in tenders for 155-mm towed artillery guns for the Army. Media Architects is said to be supplying video-editing software to the armed forces, while BVT Poland is said to be engaged in marine engineering and naval architecture. 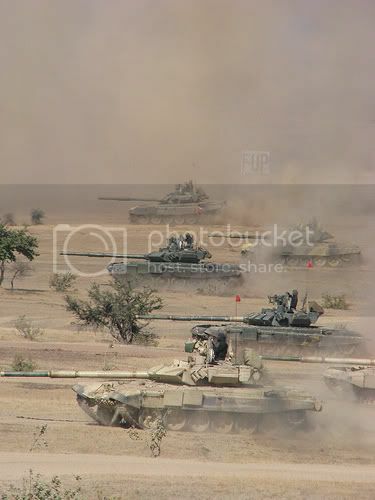 T S Kishan and Company is said to be suppliers of spares and accessories for Army’s T-72 and T-90 tanks, and infantry combat vehicle BMP-II, while Pune-based HYT Engineering supplied components of missiles produced within the country. Ludhiana-based R K Machine Tools supplied spares for vehicles and machinery produced by Bharat Earth Movers Ltd. However, the Defence Ministry has sought a detailed list of equipment and material that these blacklisted companies provided to the armed forces and the list was still awaited, officials said. The CBI had filed the FIR against Gosh on May 17 this year on corruption charges. Although no charge sheet had yet been filed in the case, there were concrete evidence such as transfer of money to personal accounts that were detected, the Defence Ministry spokesperson said. “The government views both receiving and giving bribes as an offence and as such there cannot be any lenient view on this account. “The matter will be further reviewed as and when the CBI provides more evidence. The Defence Ministry desires to tackle issues of corruption in procurement cases head-on,” the spokesperson added.